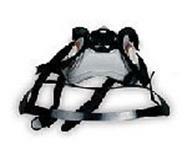 This mask has two heavy-duty head straps and an adjustable nosepiece/foam inner seal. 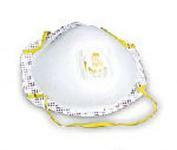 Can be worn easily with glasses or goggles. NIOSH approved. Complies with OSHA regulations. Shipped by the box. 20 masks per box. 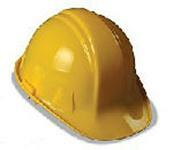 This hard hat is lightweight, high-density polyethylene. 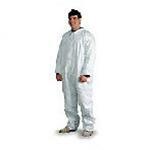 Allows for greater comfort and complete hard hat protection. 100 count box of rubber latex gloves for the quick job. Especially good for foaming. 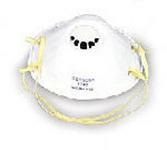 Provides eye, face and respiratory protection. Constructed of soft, pliable silicone for superior comfort and fit. 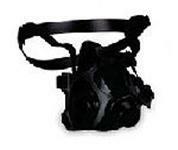 The wrap around lens provides 200º field of vision. 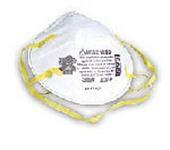 These pads provide quick, safe and easy means for cleaning respirators and other personal safety equipment. Large (5" x 8") individually foil-wrapped wipes saturated with an alcohol-free Benzalkonium Chloride solution. Packaged 100 pads per box. These glasses have contemporary styling. Unique one-size fits all adjustability. 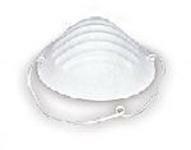 One piece lens with molded browguard and sideshields held securely in place by tough nylon frame. These goggles are flexible with fog free, shatterproof lens. Direct venting to minimize dust entry. Comfortable and efficient. 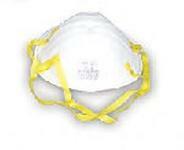 Fits over most respirators.